In order for a company to be successful, they must have an official New York website Design. This website allows future customers to gather information on who they are doing business with. Whether they want to check in to get the specifics on a business’ location or want a quick rundown on what services are offered, this site can truly make or break a company. However, just having one of these isn’t enough. There needs to be traffic coming to and from the website. While at first this may seem hard, with our team’s assistance, you’ll see that this is actually quite simple. The most effective way to raise your website’s traffic is by producing original content. The public will not want to visit your website if the materials you offer are scattered all over the Internet. Instead, being unique and creative sets you apart from everyone else online. That’s because this information can only be found by going to your website. Similar to this, the content provided on your website needs to be relevant to the changing times. There is no point in reading your site if all the information is outdated. That is why it must be constantly updated. We recommend doing this numerous times daily, so that people have an excuse to visit your website over and over again. When you work with us, we will create this content for you. Our long list of experienced content writers will take their expertise with words and thorough research skills to provide your site with information that will have readers wanting more. Some of the services in particular that our content writing agency offers are press releases, blog posts, article writing, SEO posts, social media, sales copywriting, reviews, brochures, business writing reports and guides. Our team has the knowledge of keyword based writing and SEO optimization that will have your website traffic soaring. Article writing is one of the most common types of content our team provides. That’s because these posts both explain your product in detail to unfamiliar readers checking out your site, and employ keywords that will draw in its own audience. In the past, we have written every kind of article from opinion to help pieces. Then, there are our blog posts. This type of writing is a lot more relaxed and low-key than the rest, often feeling like you are talking to a family or friend about real life issues. Typically, blog posts cover topics like money, pets, health issues and family life. They may also offer advice, share personal experiences, or delve into funny stories. With SEO copywriting, our team increases the traffic to your website by tying keyword phrases into the writing. With this, audiences can find your website faster than ever before when browsing the web. We will make sure that the keywords sound natural within the text, and not like we are trying to force a word where it does not belong. No one wants to read something that sounds computer generated. However, we won’t overdo it either. If there are too many keywords inserted into the writing, these search engines will consider your website spam. Then, they won’t list your site, so the casual reader won’t be able to find it. 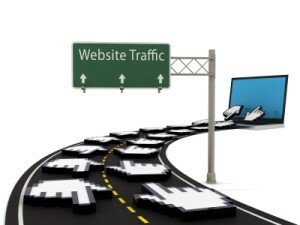 This will decrease the traffic your website receives. When you work with us, rest easy that this will never be the case. Another great way to increase the traffic your website gets is by creating social media accounts. Websites like Twitter, Facebook, Google + and Tumblr are all the rage today. While most use these to interact with their loved ones, they are also becoming a popular way for companies to promote themselves and their services. That is because these sites employ search keys and hashtags, making it easy to seek out any information you want. Our team will take social media into account and write up information based on current posts, blogs and bookmarking. 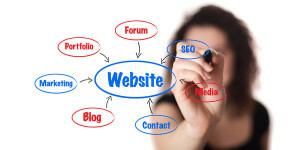 We will take the latest buzz online and connect that to your website, so that you’re easily findable. With our sales copywriting services, we will take one of our content writers who specialize in that area and have them create interest around your product. Basically, our team will research your product and figure out who the exact target audience is. From there, we will cater our writing to appeal to their interest, so that they are automatically captivated by what you are offering. There is also our business writing services. Here, we have one of our best writers design brochures, website articles and blogs to get the word out about your company. Like we said earlier, it’s not enough to have a website. You need to publicize it as well, which is what we will take care of when you team up with us. We will be in charge of creating presentations, newsletters, press releases and anything else that aide in promotion. We will even take the information we know about your company to draw up business plans, research reports, market reports, policies, guidelines and proposals. Unlike other companies, we actually have your best interest in mind and want to see your website succeed. With our content writers by your side, we will increase the amount of traffic to your website, creating buzz along the way. What may have seemed impossible at first, is now achievable with a little help from us.